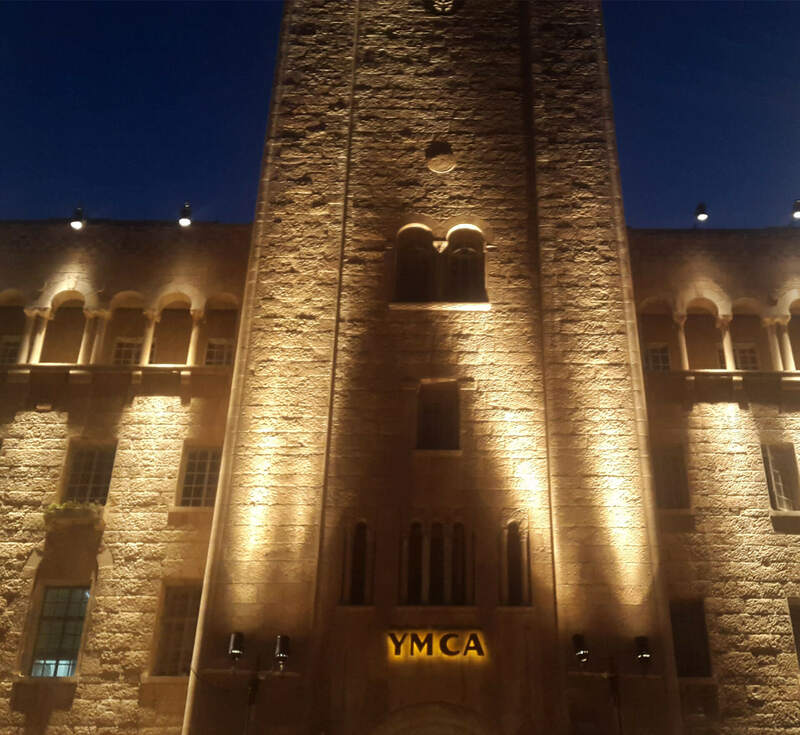 The external facade of the hotel bears intricate sculptures and inscriptions in English, Arabic and Hebrew reflecting the YMCA’s historical role as a meeting place and a spiritual Heaven in this intense and ancient city. The beautiful gardens and lawns, graceful shade trees, and stone pathways around the hotel are open for our guests’ strolling pleasure. The hotel’s public areas feature high-ceiling halls and walls often lined with colorful modern works of Israeli and Palestinian artists. The YMCA Restaurant is tucked in beside the graceful and greenery-covered arches of the hotel entrance. This beautiful, understated dining hall also features a charming outdoor patio – light and breezy by day, romantically lit in the evening.